RESPECTED journalist and former coach Roy Masters summed it up in his column in the Sydney Morning Herald: “As the past decade of State of Origin matches has demonstrated, God is a Queenslander”. While those of us north of the border have always known that to be true, this year’s all-Queensland NRL grand final between the Broncos and Cowboys seems to have finally convinced the Sydneysiders as well. A dream 20 years in the making has become a reality – and part of an ongoing, living nightmare for Blues fans – with two Queensland teams playing off for the title of the NRL’s top club in the October 4 grand final in Sydney. 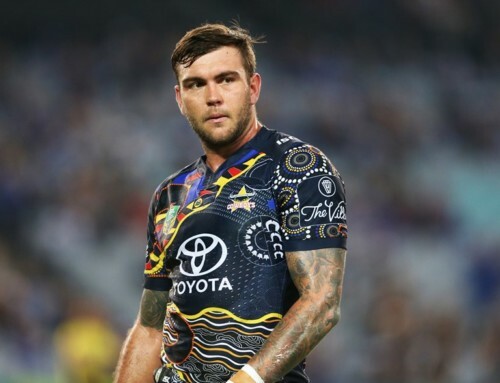 In 1995, the North Queensland Cowboys joined what was then the Australian Rugby League, hoping to one day challenge the Broncos for the mantle of the state’s top club. Now, two decades on and 10 years after their first grand final appearance, they have the chance to claim the title with a head-to-head showdown in Sydney against “big brother” Brisbane. The Cowboys have had to do it the hard way, and have earned their shot at the title. After three consecutive seasons where bad luck and bad calls have conspired to send them out of the finals race, the Cowboys this year took control of their own destiny. And they have done it with a flight-plan that would weary Charles Kingsford-Smith, with games in Brisbane, Townsville, Melbourne and now, finally, Sydney. They have bounced back from a late-season slump and a loss to Brisbane (16-12) in the first week of the finals to blow away Cronulla (39-0) and the Storm (32-12) to book a ticket to “the big dance”. And while they may wear blue and gold, there is no denying the Maroon tinge to the Cowboys success, led by their brilliant co-captains Johnathan Thurston and Matt Scott. Thurston has been in classically brilliant touch, and it is hard to remember a more dominant performance from a front-rower than that produced by Scott against Cronulla. Behind them is a stellar squad, featuring more Maroons in Michael Morgan, Justin O’Neill and Ben Hannant, moulded into a premiership force by coach Paul Green – himself a fellow FOG. At the other end of the field will be traditional powerhouses Brisbane, rejuvenated, refreshed and reborn since Wayne Bennett’s return at the start of the year. 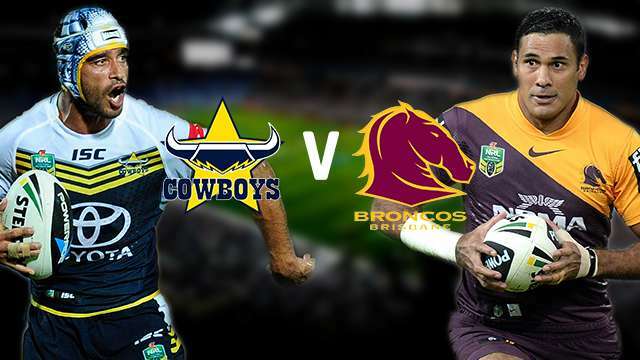 Heavily laden with current and future Queensland stars, the Broncos have been brilliant all season, but particularly in the finals where they disposed of the Cowboys and then the Roosters (31-12) to make the grand final. While it is easy to suggest in hindsight that Brisbane’s success this season was assured, given the talented roster and premiership pedigree of the coach, to do so would be an injustice to a remarkable achievement. Brisbane not only had a new coach this year, but also a new-look “spine” with Darius Boyd and Anthony Milford joining the club. Add to the equation that Boyd missed months of action with a torn Achilles, and Milford had never played at five-eighth before this season, and the enormity of the achievement begins to sink in. Then there are players like Adam Blair, who many thought was past his best after a disastrous stint at the Wests Tigers. 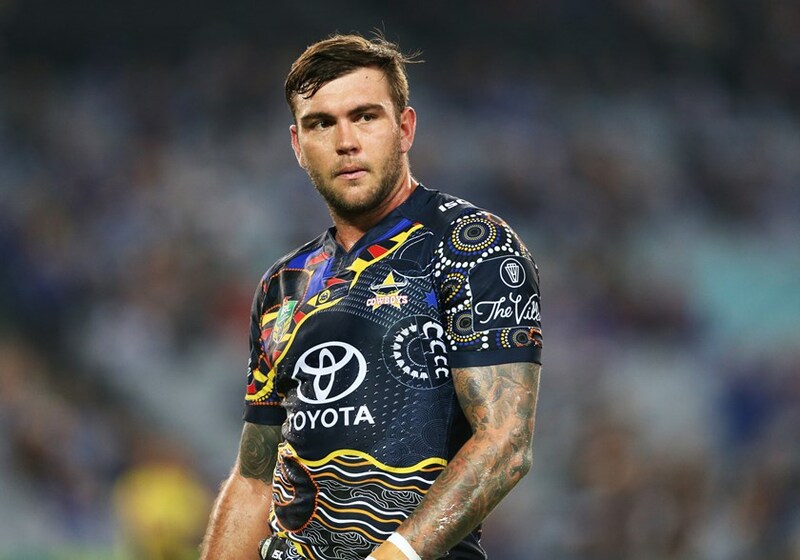 He has regained his best form and returned to the list of the game’s most damaging props, meaning Brisbane were well placed to cover the potentially devastating loss of Origin front-rower Josh McGuire to a season-ending Achilles tear. Both teams have not just enjoyed successful seasons, but done so by playing styles of football that have been a pleasure to watch. This year is the promised land for the Queensland faithful, and there is little wonder that former skeptics south of the border are suddenly becoming believers themselves. How could you not with two Queensland clubs fighting it out in the NRL grand final just months after the Maroons claimed their ninth State of Origin series win in the past 10 years? God is indeed a Queenslander, and it is just one more reason to rejoice.